Last updated: July 17, 2018 at 2:16pm by Savanah – New gambling news has been slow for awhile in the state. Wyoming has been expanding their gambling industry in recent years, including the creation and execution of a state lottery. They are continuing to look at other areas of gaming expansion, which resulted in state lawmakers to consider creating a Gaming Commission to oversee their gambling activities. However, that won’t be happening anytime soon according to Senator Leland Christensen, chairman of the Judiciary Committee. The state of Wyoming is pretty firm on its rules and laws when it comes to gambling, but it seems like the state doesn’t know why they are. The state officials and representatives constantly say publicly they should alter their gambling laws because they don’t make much sense, yet nothing ever gets done. This definition is listed in Section 6-7-101 of Wyoming’s statutes which highlights gambling. Many states have similar “gambling” definitions, and the most disputed part when it comes to poker is the “chance” section. The debate on whether poker is a game of skill or chance is always a hot topic. If poker was legally classified as a game of skill, which many believe it to be, there would be a much different outlook on the game. There would no longer be a debate on whether poker is considered gambling or not, and most likely it would be completely legalized throughout the United States as well as playing poker on the internet. Many experts are coming out stating poker is a game of skill, including a federal judge in New York who ruled so in a more recent case. With the judge determining poker as a game of skill rather than chance, it no longer classifies it as gambling so the poker parlor and players were not prosecuted. This was a big case and decision for those you enjoy playing poker online, at a casino, or just with your friends at a home game. At times you might hear about a high-stakes poker game getting busted by the police, but you never hear that happening to those who play online poker. 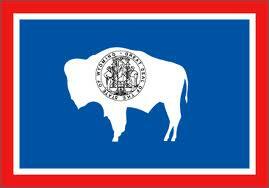 We could not find any cases where someone was arrested and charged for playing poker on the internet in Wyoming. Wyoming passed a bill in March 2013 to legalize a state lottery which started selling lottery tickets in August of 2014. The state only has a couple Indian casinos that we could find, and the law allows social games of poker but only if the players have a “bona fide social relationship”. Before Wyoming passed a state lottery bill in 2013, states usually don’t have a state lottery because they already have a lot of casinos and they don’t want to compete against the casino revenue, like Nevada for example. Those states are satisfied with the taxed revenue from the casinos and don’t mind not having a state lottery. Regarding the legal aspect of social poker, again it must be a bona fide social relationship. If you are entering a poker game with eight players for example, but you only know six of them, you very well could be entering an illegal form of gambling. This has been a big issue for many-many years in terms of the literature of the law, i.e. “bona fide social relationship”, and many state officials believe this needs to be changed and is outdated. 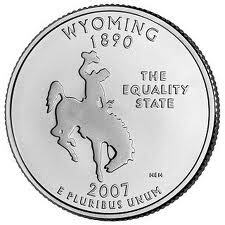 Another interesting note is citizens of Wyoming can legally own a gambling device as long as it’s at least twenty five years old, and is not intentionally used for gambling purposes, which classifies it as an “Antique gambling device”.